Addressing the spread of misinformation on Twitter, CEO Jack Dorsey told CNN’s Brian Stelter over the weekend that the company isn’t in a hurry to begin proactively taking down fake news posted on its platform. 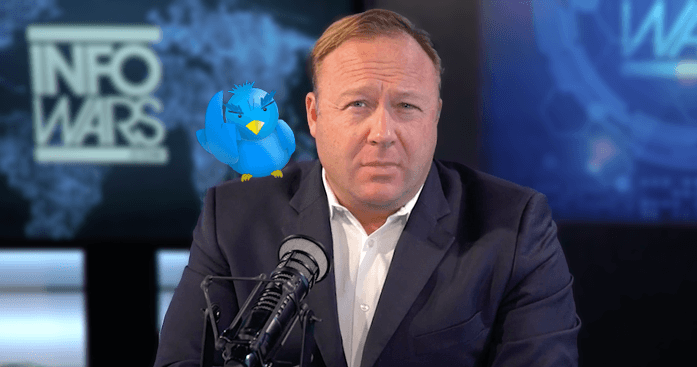 He added that “it would be dangerous for a company like ours to be the arbiters of truth;” this follows Twitter’s temporary suspension of conspiracy theorist Alex Jones last week, after other platforms like YouTube and Facebook booted him off their properties. It was good to see Dorsey shed some light on how he’s thinking about tackling these obviously difficult questions concerning abuse and misinformation on Twitter – but the company’s lax approach is starting to feel outdated. Twitter’s position is that it acts on reports of abuse of its platform, instead of proactively seeking out such incidents. Dorsey added that it’s not just about dealing with issues on a case-by-case basis, but also figuring out a generalized solution that can be applied more widely and consistently. I don’t think that’s good enough: for a long time now, the company hasn’t been good at operating transparently when it comes to addressing reports of abuse, so it’s hard to imagine that will change anytime soon. Next, Dorsey said that Twitter is still a small company, and isn’t in a position to proactively review content. Well, it’s been in existence for over a decade, and is currently worth nearly $25 billion – isn’t it time to step things up? Heck, the company recently had to bid farewell to a million users (including many fake accounts) in three months, and $6 billion in market value; that sounds like enough incentive to try something different. Dorsey said that the company is interested in providing more points of context in an effort to fight misinformation. That sort of functionality would certainly be welcome, but how about also banning people who seek to incite violence among hundreds of thousands of people? In Jones’ case, there isn’t much gray area to contend with on that front – but all he’s getting is a temporary suspension. Dorsey mentioned that one of Twitter’s operating principles is earning people’s trust. How do you achieve that when you’re too afraid or too stubborn to kick someone who actively profits from lying off of your site? Other platforms are working to enforce such policies, and AI-based technologies are getting better at helping companies fight fake news. That’s where Dorsey should invest his time and effort next – and grow Twitter into something that all sides can live with.